Nearly three years ago, the American Nurses Association drew a firm line in the sand when it comes to workplace violence. The organization declared that it was taking a zero-tolerance stance against violence and bullying and called on other parts of the industry to join arms. The ANA, which claims that nearly one-quarter of nurses have been assaulted, launched the #EndNurseAbuse campaign. As allegations of sexual harassment have moved into the forefront, the ANA has aligned its initiative with the #TimesUp and #MeToo movements. 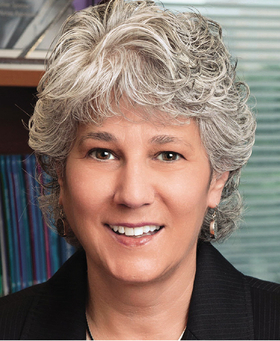 Modern Healthcare Managing Editor Matthew Weinstock recently spoke with ANA President Pamela Cipriano about the issues of violence and sexual harassment in the workplace. The following is an edited transcript. Modern Healthcare: When it comes to violence in the workplace, what are you seeing? Is there a real rise or is it more anecdotal? Pamela Cipriano: Yes, there has been a rise in workplace violence. Nurses and nursing assistants are much more vulnerable. We became much more aware when we started doing our health risk appraisal survey about three years ago and we were asking nurses to comment on their safety in the workplace. We've known about obvious workplace hazards for a long time. We've been a big proponent of needle-stick safety and making sure that musculoskeletal injuries are prevented with safe patient handling and moving and lifting, as well as making sure that when environmental services are cleaning surfaces, that there's not a risk for nurses slipping on a wet floor. That's been around for a long time. But what we found was that almost 25% of nurses responding to the survey said they had been physically assaulted at work. And we've continued to see that be a pretty stable number—so 25% being assaulted at work and over 40% saying they had been physically or verbally abused by a patient or family. It's self-reported, so we understand that it's not a scientific study, but again, it's really attention-getting from the standpoint that this is on the rise. The Emergency Nurses Association also published a survey in 2014 that 3 out of 10 nurses said that they had been physically abused. And we know that there are some areas that are more prone to physical abuse and that is certainly in emergency rooms, inpatient behavioral or mental health units. MH: What do you attribute that to? Cipriano: I think there are a couple things that make a lot of sense. First, drug use and drug abuse clearly affect the emergency departments. Similarly, when we think about behavioral health, we think about people who have either forgone treatment or who are just an extremely difficult case to care for, so when they can finally land an inpatient bed—which we are seeing because a lot of the funding has been diminished across the country in state budgets to maintain behavioral health facilities—the patients can be more violent. We're clearly seeing some of that play out. MH: The ANA created a call to action and a social media campaign around this issue. What would you like to see out of the rest of the industry, including the C-suite? Cipriano: We have been very clear that we believe the need to prevent violence is a true partnership between employers and their staff and it really starts with leadership. It starts with absolutely embracing a culture of safety. These ideas are a decade old. Many organizations have embraced that. On the other hand, there's a difference between putting it in writing and actually living the experience. It's not good enough to say, "Oh well, we've got to make sure we're training our employees to de-escalate situations," or, "We need to make sure that we've got our facilities secured after hours," after a negative event occurs. Or, if you're in a high-crime area, that you're screening visitors as they come into the facility. It requires a pretty aggressive set of actions that we believe employers are very well-served to undertake, because again, they are looking at the safety of their staff as well as the safety of their patients, but they are also looking at avoiding the financial perils of having a serious issue of violence that affects their employees, affects their ability to work, affects the institution in general. Starting with a culture of safety, starting with leadership, really being consistent and making sure that there is a true commitment to putting in place physical safeguards, providing education, a reasonable security force with the ability to have an immediate response team that deals with any kind of situation, and zero-tolerance policies. We've been pretty vocal about no tolerance, not just for violence but zero tolerance for bullying and incivility, which can escalate to violence. MH: On a related front, what about sexual harassment in the workplace? Is that an element that you're seeing with your members? Cipriano: I think everyone is keyed into recognizing that it is time to stop the silence and create a voice. Particularly because nursing is still a 90-plus percent female profession, we are concerned. Most often we've seen this play out because of the power differential—that if there has been sexual harassment, it tends to be in part an intimidation tactic. But interestingly enough, it has not been raised as a growing issue. Absolutely, it exists, and in healthcare in general, it is an issue for women who are physicians, who are pharmacists, who are nurses, who are therapists. I think every group has its experiences, but it has not arisen recently at the same level and fever pitch that it has in the public arena. We have not had individuals coming to us saying, "Please help us deal with sexual harassment in our workplace." I would imagine that we will now see more reports. The difficulty and the challenge is that, again, it exists at an institutional level. MH: Does it surprise you that nurses haven't come forward yet? Cipriano: A little bit, I think primarily because I'm so unnerved by the fact that it has taken so long for people to step forward. Part of me, the Pollyanna in me, wants to say, "Well, maybe nurses are just a little bit more aware of their rights to speak up in the workplace and their ability to confront some of these issues." But again, I would be naive to think that that's really what's happening, and so I don't know whether we're going to see increased cases come forward or not, but I have been surprised that we haven't heard more. MH: What other pressure points are your members feeling? Cipriano: There is a growing focus and concern about burnout. Working in today's healthcare environments is very stressful. As the work has become more stressful, as the demands on individuals have increased, the turnover of nurses has also increased. Burnout is a really critical issue. And that's a whole other area I'm very involved in, as is the ANA. Along with the National Academy of Medicine and other groups, we created that Action Collaborative on Clinician Well-Being and Resilience. Organizations, as well as individuals, are very concerned about the fact that we're losing people from our work environments who have a lot of experience and wisdom. That turnover is not only costly from a financial sense, but it's costly in terms of an experience and quality perspective. The other thing that goes along with that is work-life balance. We used to say, "Well, don't worry about that," but again, it really is front and center. MH: You referenced the nurse shortage. There are varying numbers, but what are you seeing as it relates to overall membership and patient care? Cipriano:There are numbers with very great discrepancies and swings in terms of trying to characterize what many of us believe is a growing shortage. The numbers from the Health Resources and Services Administration have been pretty consistent in saying there is a maldistribution. We keep hearing that nurses are overworked; they have unsafe workloads. When we compare the research findings that we have, when a nurse has too many patients, then mortality rates go up, the risk for complications, the risk for readmissions, the burnout and turnover of nurses all go up. It becomes really demoralizing for nurses who have to continuously face short staffing. That being said, there are areas where there are not significant shortages. California has mandated ratios, which is not a position that we support—we support a more measured approach to really taking into account staffing plans that nurses participate in developing, as well as taking into account the education and the experience of the staff and the support help—but in essence, mandating of ratios in California has increased the number of nurses overall, so we're not finding the same concerns about significant shortages. We also have a continuous shortage in our academic positions because it takes so long to prepare individuals who are qualified with their advanced degrees to teach. The average age of a faculty member is about 10 years older than the average clinically focused nurse, so we are seeing ongoing retirements of faculty and a slower pipeline to be able to fill those positions. What it means on the front lines is nurses are often in an area where there are shortages. They are taxed with heavier workloads and very difficult situations trying to recruit any nurse to come in, whether they are a new graduate or an experienced nurse.